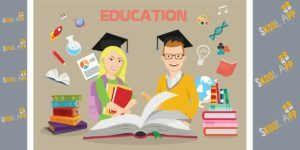 – How to Education Develops a person’s personality. – How education gives Success. what is hidden treasure there is in education which gives success to a person who has it. To understand this topic we have to first start from the history of the humans, before civilization, humans used to hunt for eating and lives in the cave, that is not much different from animal style of living, but later man discovered fire, then wheel then several other inventions that made their living style more and more easier. What human has did during these stages? 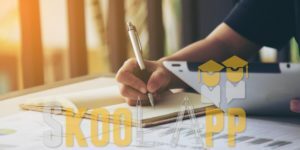 they learned numerous things, they observed other activities that gave them the idea of improving their lifestyle.Education is continuously learning the process, which guides and teaches. It also helps a person in achieving something, making their ways to their goal. Education also tells a person how to live in society and improvise it continuously. when we particularly talk about education, it is not going to school and reading books, giving exams and attaining a degree or high school certificate. Education is Evolution of something which was not developed in the past, developing in present and will develop in future, that something can be anything, living style, culture, eating habits. 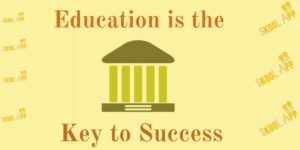 Education plays an important and vital role in success, why because without good knowledge and proper Planning no goal can be achieved. when we look at the life of some great persons and scientists in history, we see that what gave them success in their life is their hard work, Planning, and they were made that landmark just because they were educated. Because of their knowledge and Education, they were able to see far away from there contemporary people in terms of methods, thinkings etc, this was the reason Newton invented Law of Gravity, Thomas Edison invented Electric Bulb, Nicola Tesla invented Alternate Current, Wright Brothers Invented Aeroplane and list goes on. 4. 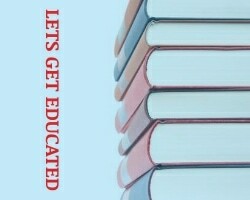 Only becoming literate is not enough, Education teaches you how to live your life. A person who is educated is having sense and moral characters that are shown everywhere wherever the persons go. Education Provides a weapon or I will say that education is the weapon that gives a superpower to a person through which a person can have what they want to achieve in there life. If we see the developed countries in Europe and USA and developing countries in Asia and Africa, we will find a big index gap in education sector, the Education level and structure of Developing countries are far back if compared with Developed countries like Norway, Sweden etc. The situation becomes even worse in poor countries, this happens all because there is no education, little education, and complete education, which makes them a poor country, developing country, and developed country. Education has always uplifted the countries where it has been introduced, it also has improved the level and values of the society of that particular country, their international image and boosted their strength with new technologies and ideas. Moral of the story is Education is a way to the goal moreover i will say it is the way maker when you want to achieve something in your life, it tells you how to plan, develop, execute and implement. This results in success, that’s why we called education is the key to success.